Made In Brunel are committed to bringing you special reports on the goings-on within the design community throughout the year. We will be attending product launches, design workshops, and hearing from acclaimed speakers. The e-waste talk was the first of our special reports. On November 13th, Jack Baker and Tom Rickard (from your trusty Made In Brunel team) set off for the Formafantasma talk on e-waste being hosted at the Design Museum. Simone Farresin was at the event as one half of Studio Formafantasma; a dutch design studio based in Amsterdam. Material investigation is at their core. They use material in a way that explores societal problems and topical issues, creating bespoke statement pieces inspired by traditional crafts and mastery of materials. The results they produce are culturally significant artefacts of our modern age. 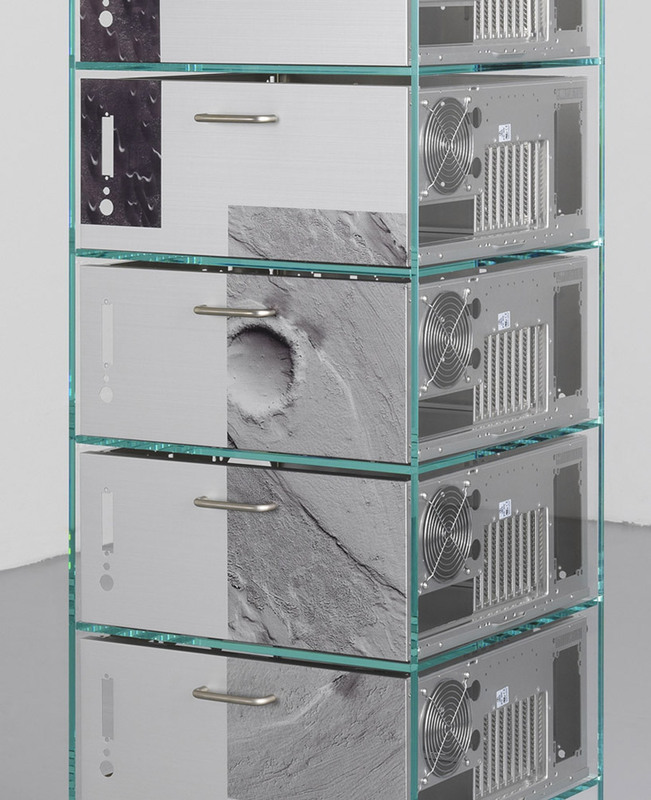 The e-waste project began as an exploration into a post-oil world. Studio Formafantasma suggested that humanity would phase out mined and extracted material, preferring to use recycled material instead. Currently there is a decline in metal mining, despite an increased demand for metals, which goes to support their predictions. Formafantasma wanted to conduct a socio-political investigation into where the materials of the future would come from. As the project went on, the focus organically shifted toward e-waste. Simone explained to us that this was “… because [e-waste] is the fastest growing stream of waste.” It is true that 2% of Americas waste is e-waste, and yet only 12.5% of that number is recycled. During the research phase, the studio struggled finding companies and partners who were prepared to discus the matter of e-waste over the course of more than one interview. There was most resistance from electronics producers. The stakeholders who were more invested in recycling were therefore the source of most of the research as they were genuinely interested in solving some of the problems that production of electronics can create. 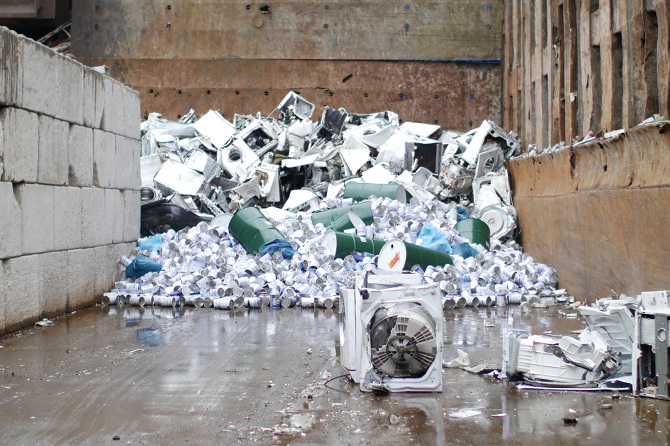 One example of an insight given by the recycling facilities was the lack of labelling on potentially toxic components. 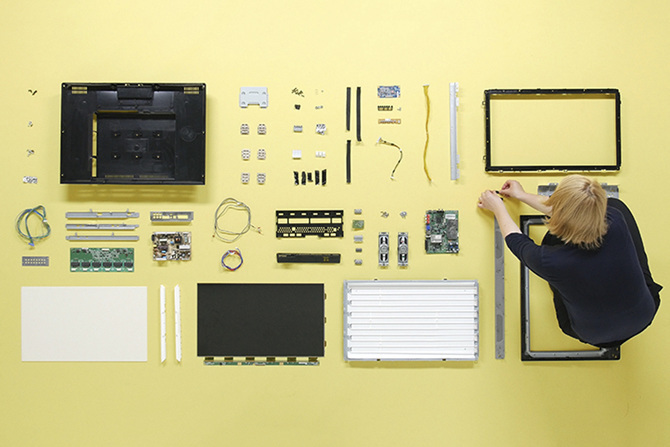 Simone described that during the disassembly of a TV screen (as shown in the image above) the person involved is at risk of damaging certain tubes that would release hazardous gasses. The risk could be significantly reduced should there be warning on the hazardous parts. However, in the less economically developed countries where the majority of electronics manufacture occurs there is very little focus on health precautions, so it falls upon the recycling plants to invest in the extra levels of precaution. Another very common recycling challenge is black. The sensor equipment that is used to identify materials bounces light off the products, so if something is black, the sensor will not receive feedback. Despite this, many wires are still insulated with black rubber, so the copper wire inside rarely gets recycled. Despite both of those obstacles to e-waste recycling, the one that Simone believed gives us most grief is how technology is becoming slimmer and thinner, and harder to open. He argued that perhaps we should not be striving for new designs to be smaller. Perhaps we need to re-think what we should be after. The evening was rounded off with a reflection on how we can be developing the electronics industry as responsible designers. It is very difficult to be a designer at the moment; we lack an urgent desire to make the world full of our products. Instead, we are forced to consider what the world really needs, and only what it needs. We cannot afford bad design, so the design process must be far more thorough than ever before. Simone pointed out that sustainability is often portrayed as a necessary sacrifice of a design, but he strongly disagreed. The requirement for sustainable design is actually a chance to be more creative, or even more expressive. Challenges that appear to limit us are the reason there is such thing as creativity and innovation. An innovation that is creeping in at the moment are digital passports for materials. There is big talk of block-chain tracking being used for the purchase of materials within a product, which can allow manufactures to avoid conflict materials such as precious metals from the Congo. Other potential technologies include the development of visual recognition to aid disassembly, and clever design to make components such as the battery more reachable. Studio Formafantasmas work into this project is still ongoing. They foresee a lot of potential in the area of repair and upgrades to electronic products, and are keen to work with electronics manufacturers to develop new products with parts salvaged from e-waste. Their biggest hurdle at the moment is the constant fight with legislations that are complicating waste trade. Hopefully in the future it will be as easy to buy old parts and materials as it is to extract them from the earth. Maybe then we will see the future that Formafantasma predict. NOTE: Formafantasma are currently looking for an intern. Check out their website if you are interested!